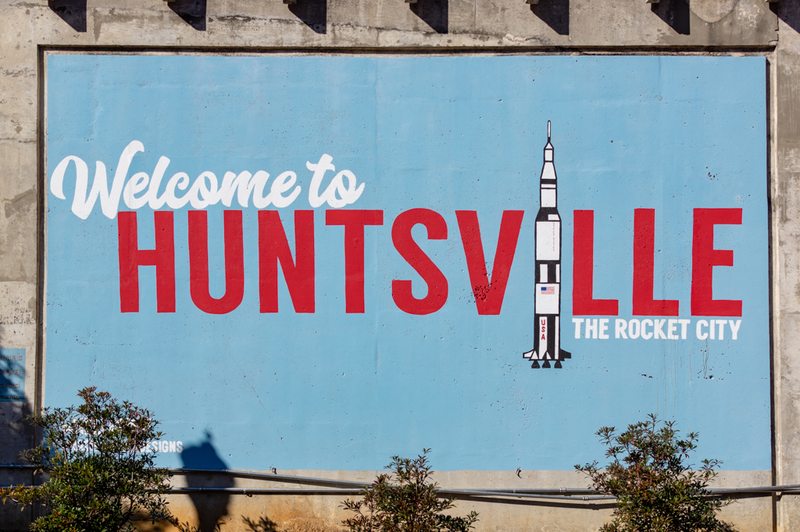 Downtown Huntsville has a fun way for you to get a much need dose of art in your life while enjoying a walk outdoors. 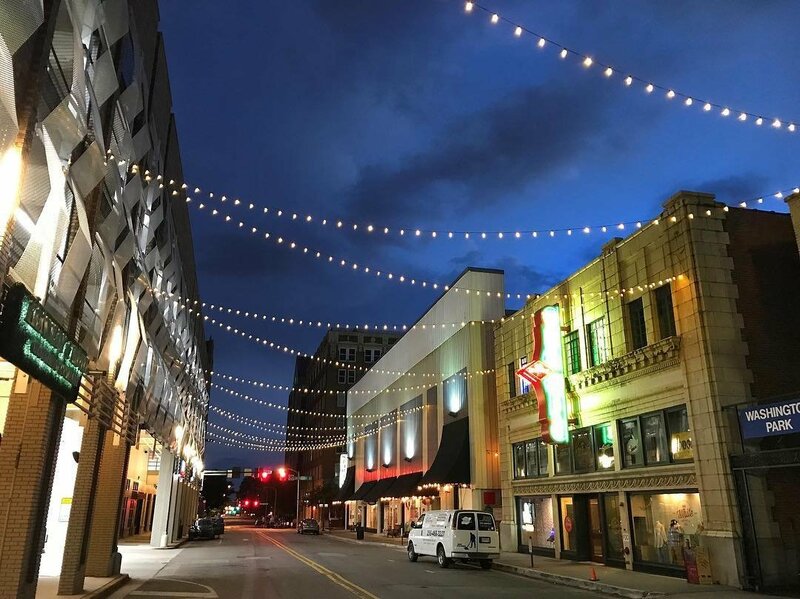 Since it is located entirely in the Quigley Arts & Entertainment District, you have the option of choosing to purchase an adult beverage to take with you as you stroll downtown’s nooks and crannies with your purple cup. 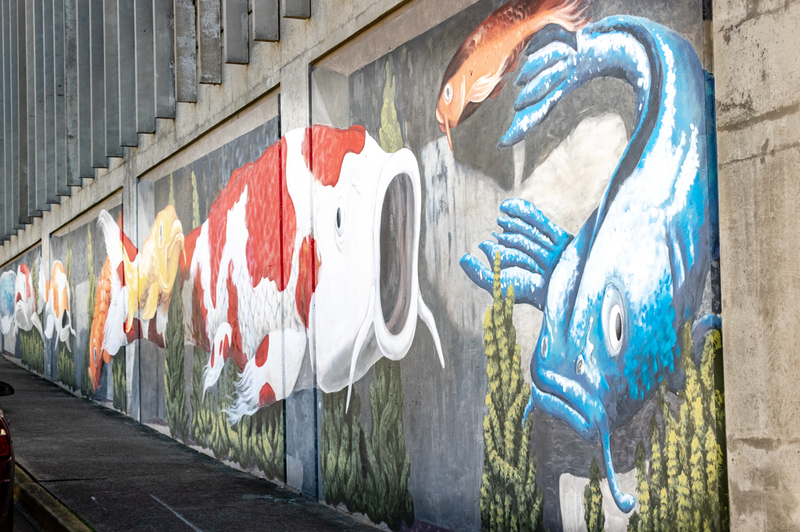 Much of the art downtown can be found on the Purple Cup Secret Art Walk walking tour, created by Arts Huntsville. Click the Purple Cup link to get your printable map or to use the interactive map online. But here’s your custom insider guide to finding all 13 stops! Park in the Clinton Avenue Parking Garage and exit onto Clinton. Walk on Clinton toward Washington Street and turn left, then turn left again in 1 short block onto Holmes Ave. Just past the first building, turn left into the alley. On your left will be the tiny Washington Park, home to stops #5 and #6, two metal sculptures. Enjoy the benches and fountains of this little pocket park. Keep going down the alley as if you were headed back to the parking garage. Stop #9, a black and white retro mural is on the wall. Keep walking all the way to Clinton and turn right. 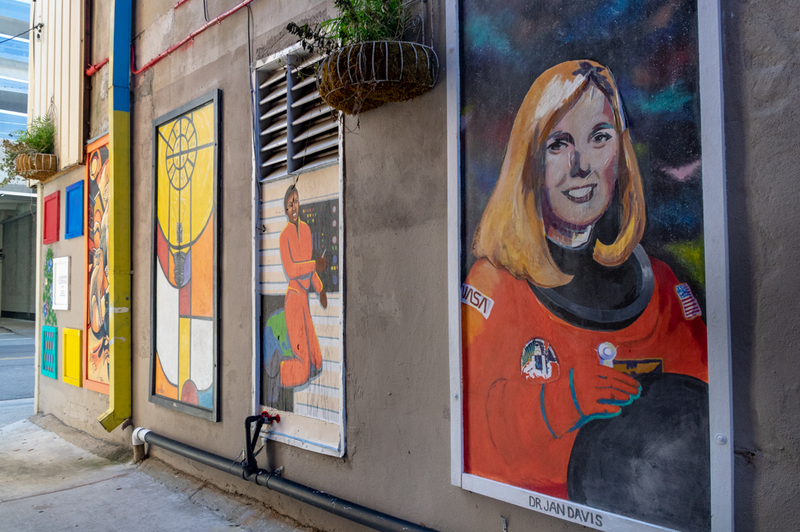 At the next alley on the right is home to the multi-panel art exhibit of Color Walk (stop #12) as well as #7 and #8, both of which are painted door murals. Backtrack to Clinton and head southwest toward the small of coffee wafting from Kaffeeklatch at the corner of Clinton and Jefferson. Cross Jefferson and look up to your right. The oldest art on this tour is stop #13, 3 panels of stained glass hung at the Kaffeeklatch. Just past the building that is the home of Kaffeklatch, turn right into the parking. Stop #4 is another painted door mural but this one blends into its surroundings! Keep heading southwest and cross Clinton at the light then back track on Clinton. Stop #3 is in the alley to the left, directly across from the last stop. Turn around and go back on Clinton the way you came, and turn left on Spraggins Street. 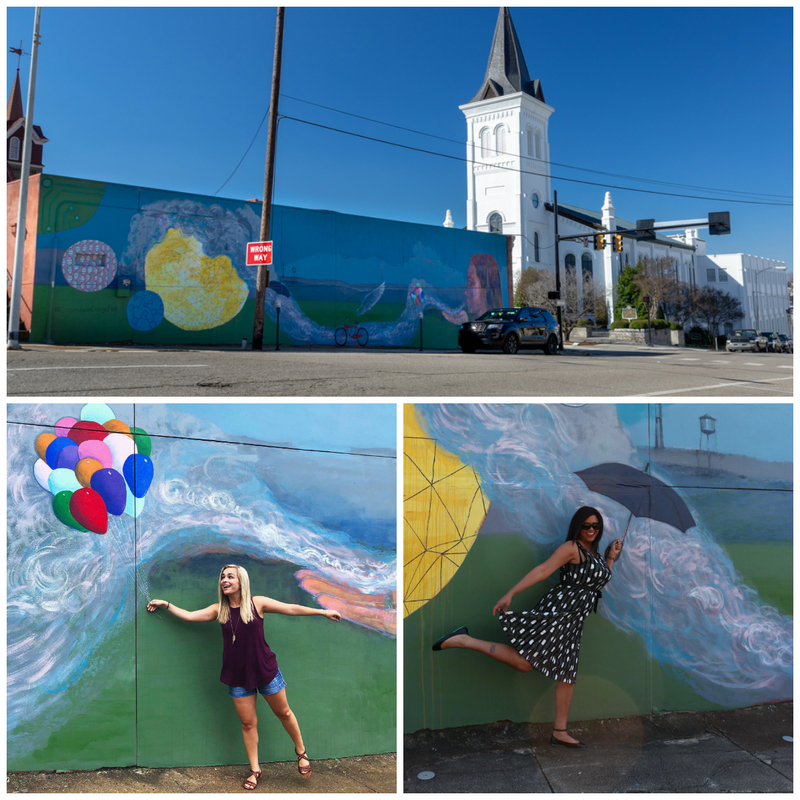 When you get to the intersection of Spring Street (just 1 block down) it will be hard to miss the large, brightly colored stop #2 up against the side of a parking garage. Don’t turn onto Spring, walk into the cul-de-sac and pass the parking garage so that you enter Big Spring Park. Make an immediate left and stop #1 will be on the wall to your left. We’ve got two stops to go. Now it a good time to refresh that drink if you need it! Starting from our last stop, walk northeast and uphill toward Courthouse Square. Turn right on Jefferson aka West Side Square, then cross the street and left on Southside Square. 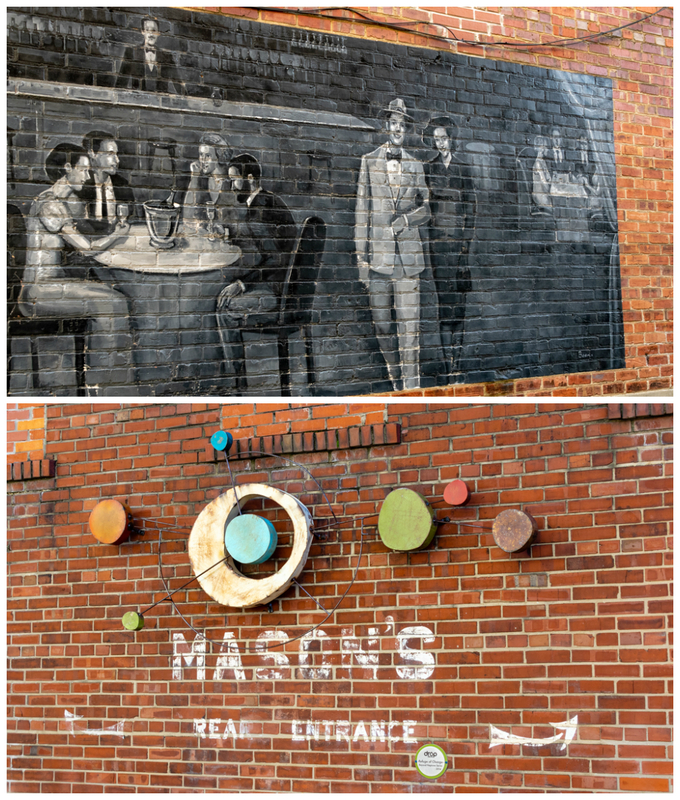 You should be on the same side of the street as the Cotton Row restaurant. Walk northeast and turn right on Franklin. 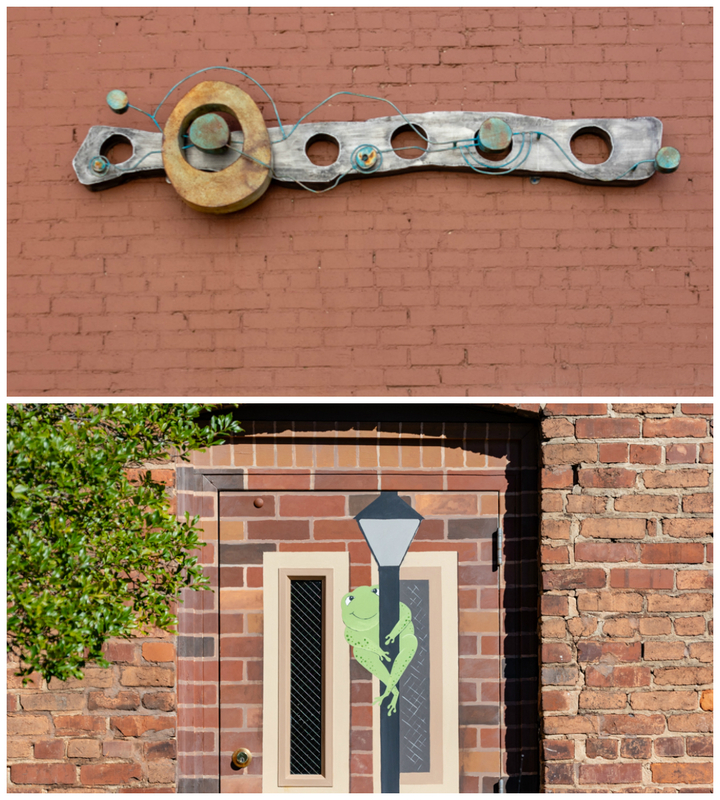 Stop #10 is on the wall to your left past the first building. Turn and go back the way you came on Franklin and keep going. Franklin becomes Eastside Square. At Franklin Street, turn right and go one more block down to Green Street and turn right. Stop #11 is directly on your left. 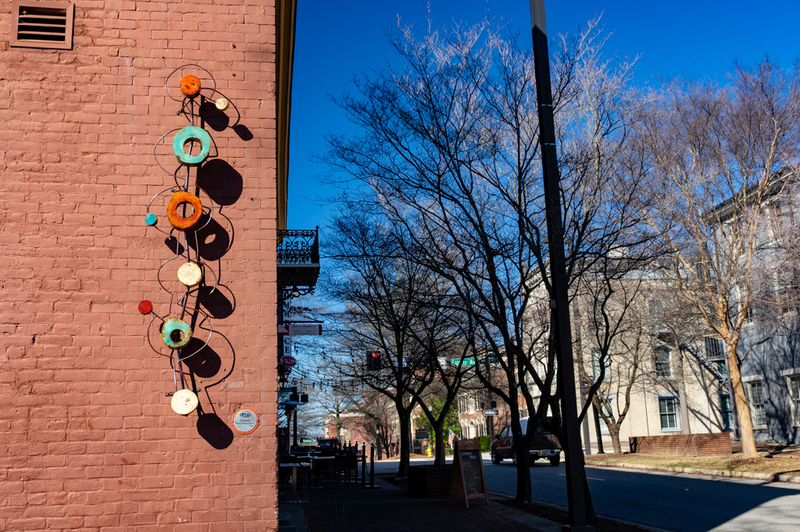 You may have seen a few more “unscheduled” artworks along the way and gotten a little distracted at the boutiques and restaurants, but you are only 2 ½ blocks from the parking garage where you started. Head back the way you came on Randolph and turn right on Washington Street then left on Clinton, and there’s the parking garage. 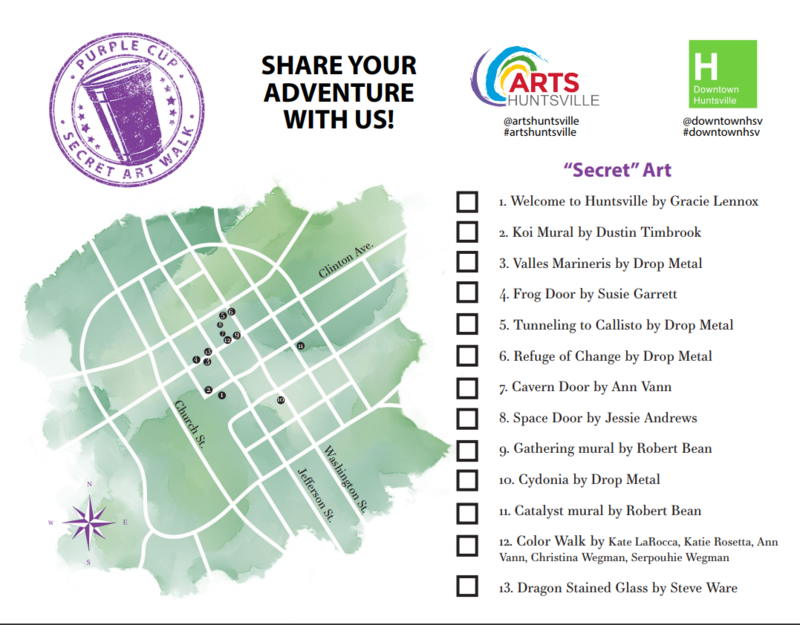 Enjoy your Purple Cup Secret Art Walk and stroll through historic downtown Huntsville Alabama!